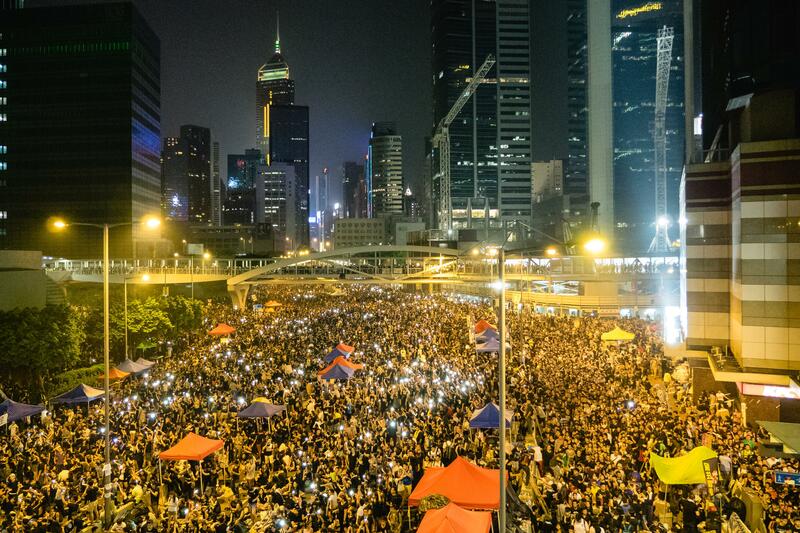 The dust still hasn't settled from protests in Hong Kong, and the GOP is still pretty irked about immigration reform. This and more, in case you missed it. It seems the dust has yet to settle from the weeks of protests that filled the streets of Hong Kong throughout the last couple of months. Now, several protest leaders are preparing to turn themselves into the authorities in an effort to streamline negotiations. Despite this, pro-democracy sentiment is alive and well in China as another student protest leader organizes a hunger strike. In a landmark deal, Iraq's government and Kurdish regional authorities have reached an agreement over ongoing oil and budget disputes. The compromise will involve the release of negotiated oil supplies from the Kurds in exchange for Iraqi financial support for Kurdish fighters combatting ISIS. Despite the arrangement of meetings to solidify and implement the deal, many remain skeptic about its staying power. Politicians on both sides of the aisle have been up in arms since President Obama's announcement that he would use executive orders to resolve ongoing immigration issues. As to be expected, republicans are hard at work with attempts to block Obama's plan, and the focus seems to be drawn to a new spending bill as a means of countering the proposed immigration reform. Monday saw complications Pennsylvanians seeking coverage under the state's expanded Medicaid plan, as a state hotline was overloaded by hundreds of thousands of callers seeking insurance. State officials are urging Pennsylvanians to utilize all available means for acquiring the service, and look to online enrollment as a potential fix. It seems clear that the state underestimated the amount of citizens who planned to enroll, and still do not have a fixed estimate for future enrollment. In an effort to increase community input on matters of public safety, the Erie City Council set in motion plans to launch a public safety advisory committee on Tuesday. The committee is set to be made up primarily of volunteer members of the local public safety committee that will each specialize in various aspects of public safety concerns. The members of the committee would be appointed by Erie County Executive Kathy Dahlkemper and confirmed by County Council.